Not my first Thornbridge beer but one I’ve seen around a fair bit. Not really my thing as you might have guessed from their description but potent stuff at 5.9% A.B.V. Not usual dark fruity and malty Christmas ale it was quite light with just a hint of spicyness that livelier foods would probably drown out. Pleasant enough but didn’t over excite. 3.7% A.B.V. The last time I tried this was in it’s bottled form – when it was sadly cloudy due to being out of date. This was better – not my favourite style of beer as regulars will know, but it was all that was on offer and I did have a second. 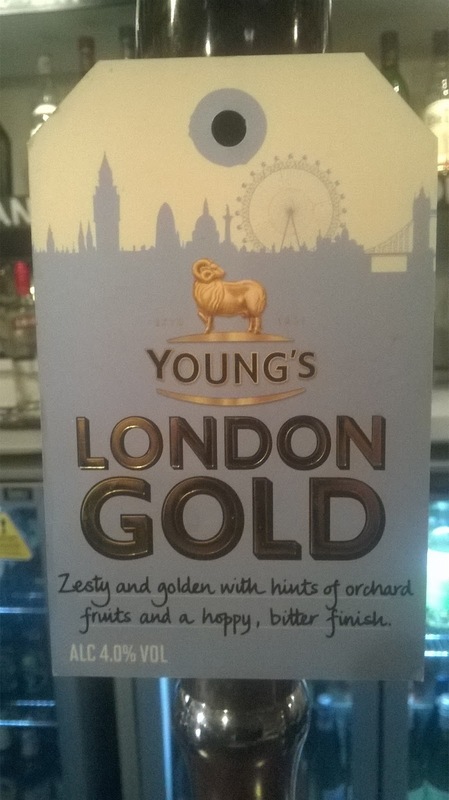 As I’ve said before – served a bit colder it would be lovely on a hot summers’ night. 4.0% A.B.V. No argument with that. A good all around bitter from this East Anglian brewery that can now boast that most of their beers are gluten free. Found on a return visit to a pub I first tried to get into over 20 years ago. The owner was rather ‘eccentric’ to put it nicely and I was told by the barman – who was camper than a row of tents – that they “don’t serve men with earrings”! Not cheap but great food – the steaks were divine. 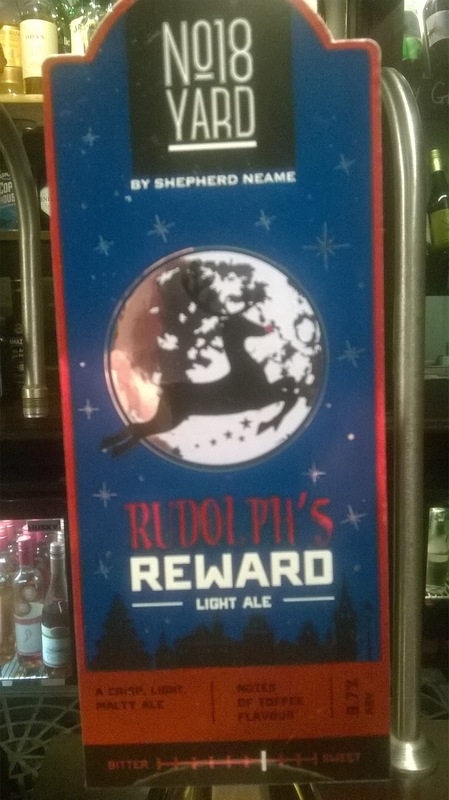 Pretty much the bog standard ‘Christmas’ ale I thought but eminently drinkable. Would always take their Workie Ticket but would love to come across more from their range. The Robin Hood. Cherry Hinton, Cambridge. December 2017. Another local brew that I got to sample during our extended stay in Cambridge over Christmas and this was brewed just over 3 miles away. The usual winter warmer but not loaded with alcohol like some. Would happily drink again and would love to try some of their regular ales, particularly the Cambridge Black. 3.9% A.B.V. Great steaks here too. Oh yum. This was nice. The name is spot on – a great example of a Best Bitter which I enjoyed rather too much when meeting up with some old friends in this great village boozer that keeps a wide selection of real ales. 4.4% A.B.V. Well, they may not say a lot but this was a truly lovely pint, brewed just 15 miles away by this young (2012) brewery. Very easy drinking and I hope to come across more of their range in the future. A great pub too that are really enthusiastic about their beer. 3.8% A.B.V. It was certainly easy drinking despite weighing in at 5.4% A.B.V. Slightly fruitier than I would have preferred but still very enjoyable. Ooh yum. Light on the hops and fruit and heavy on the malt. A great seasonal ale from this Nottinghamshire brewery in that most rare of beasts – a pub that was knocked down then rebuilt.